Isn't this a great idea? 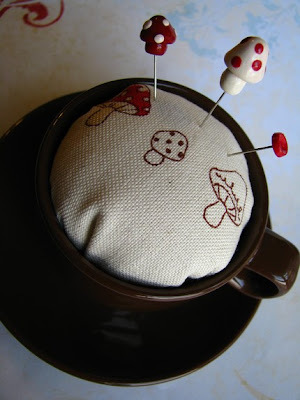 My friend Laura makes these as a great alternative to boring old pincushions. I love the colors and LOOOVE the Mushrooms (which she also makes by hand). Very clever!